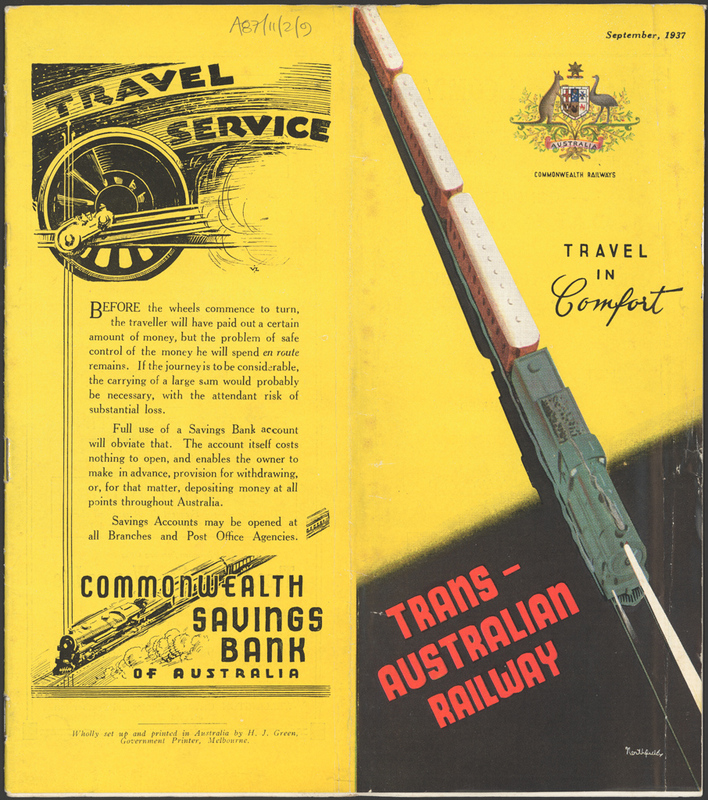 These albums of posters and brochures are part of the series NRS 16410 – Albums of Travel and Advertising Brochures, 1938-1957. 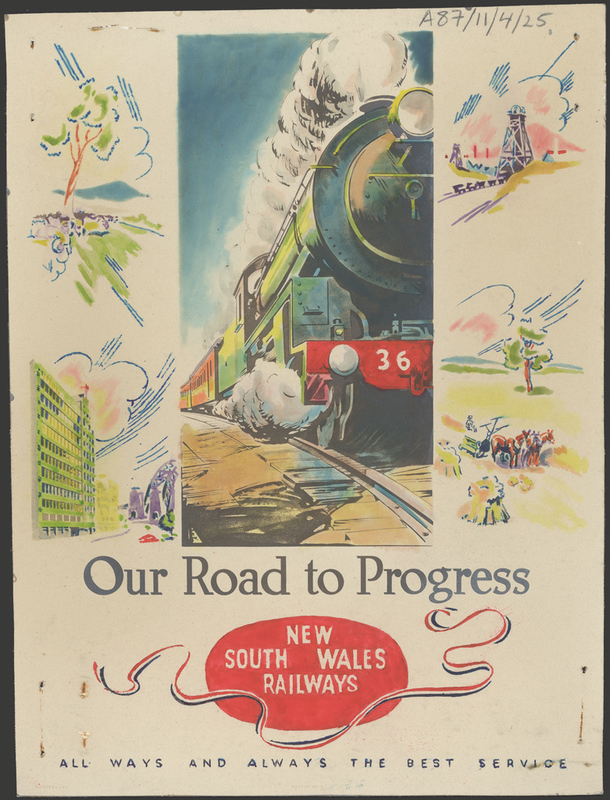 They promote the services provided by the New South Wales Railways such as helping you move house by railway, delivering parcels, refreshment rooms, sleeping berths and the all round benefits of using the NSW train services. 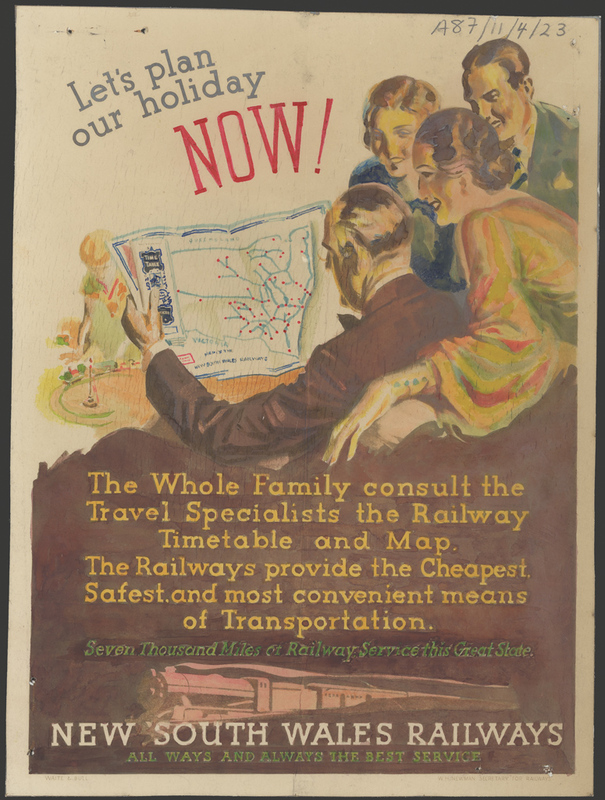 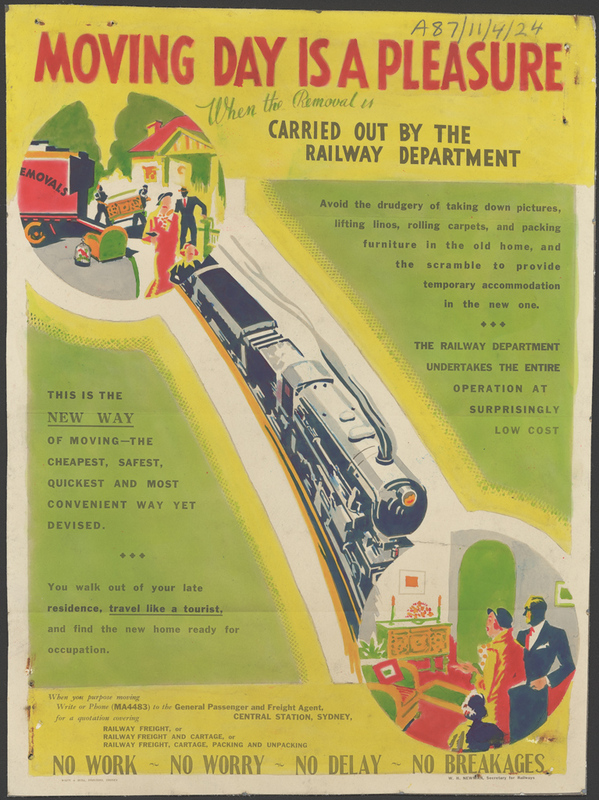 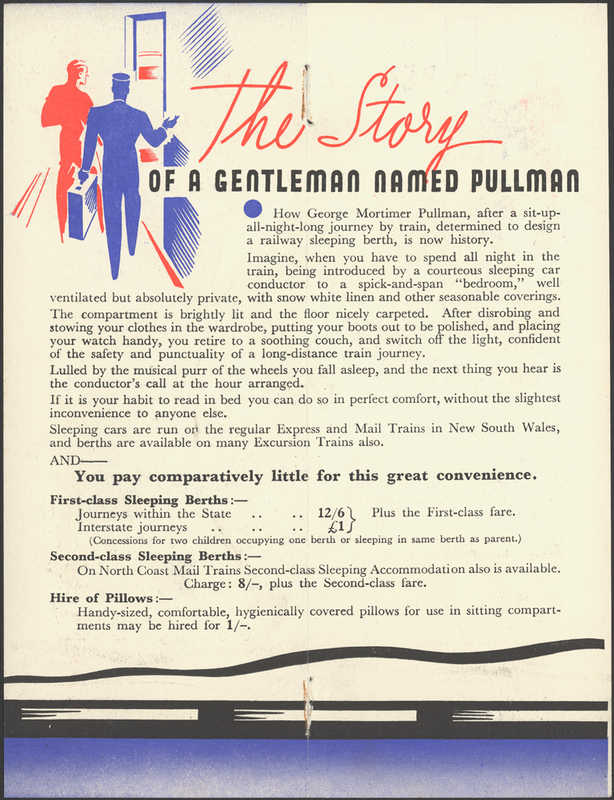 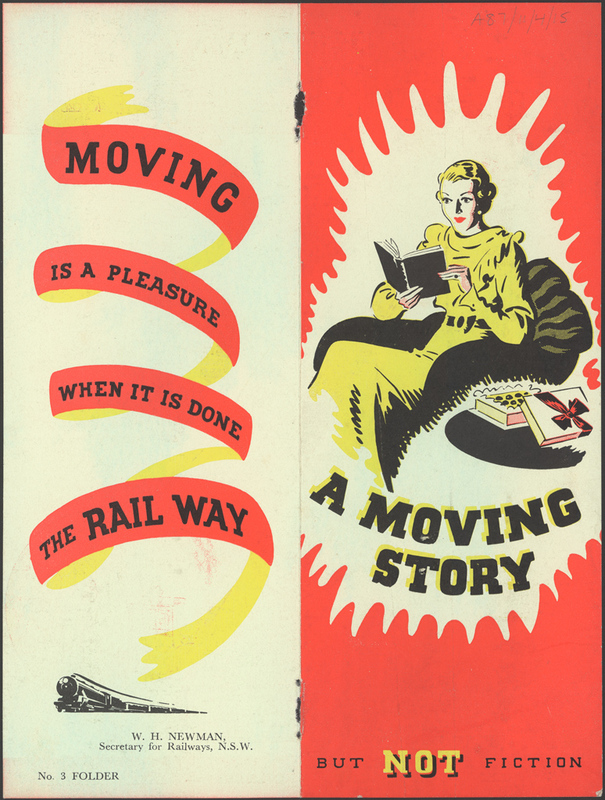 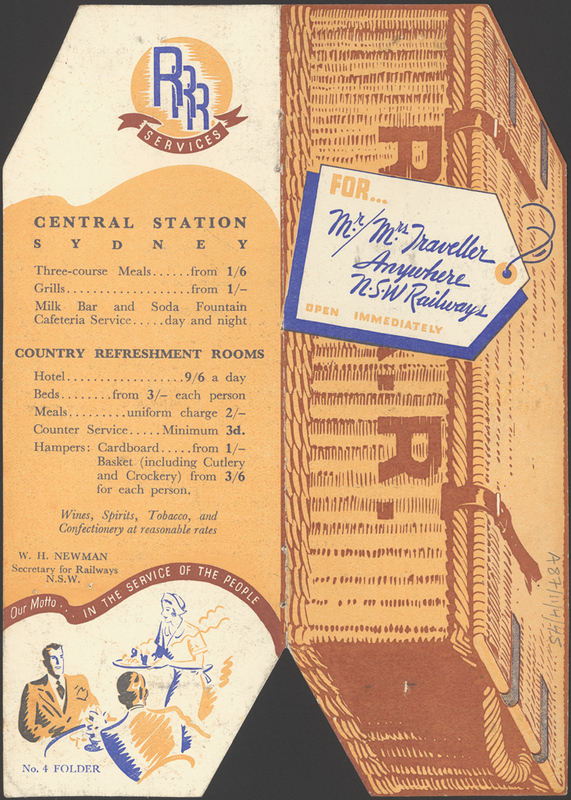 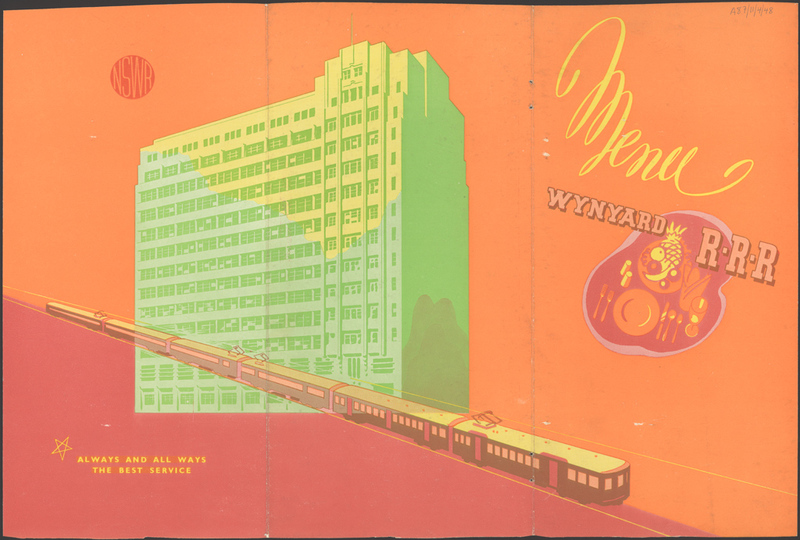 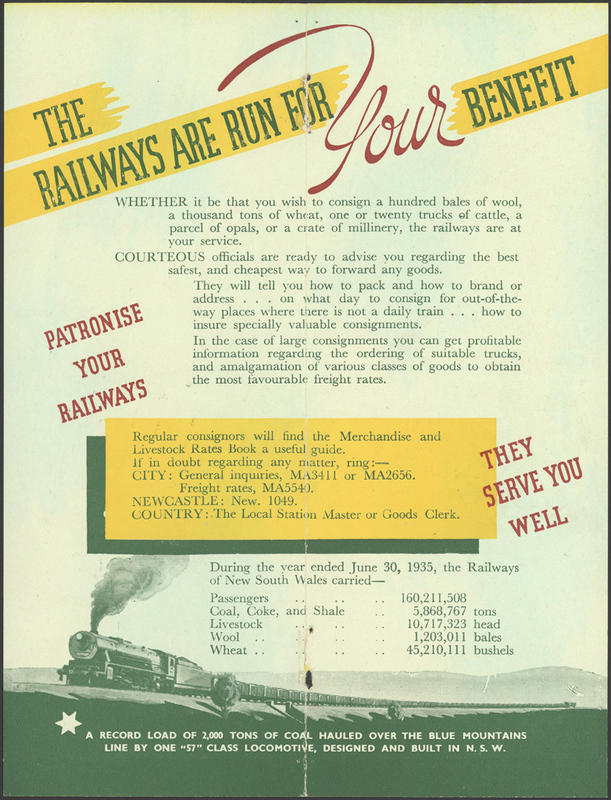 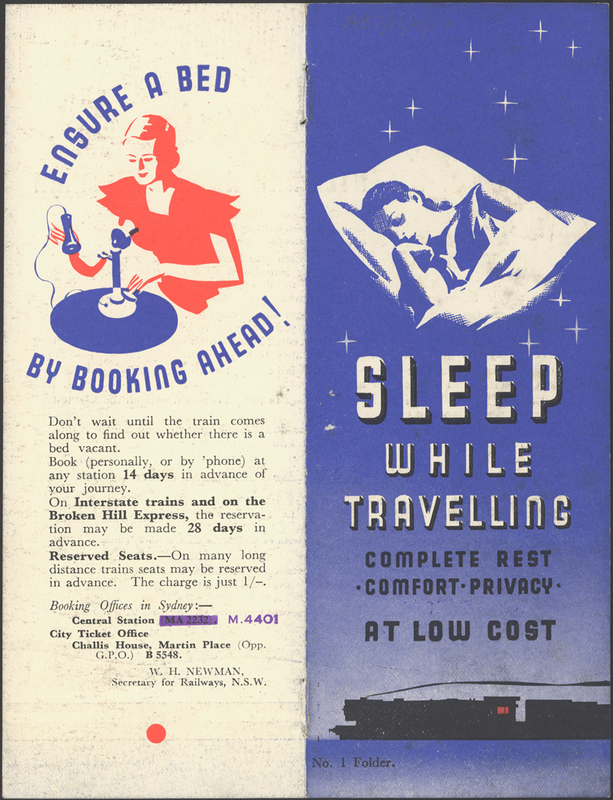 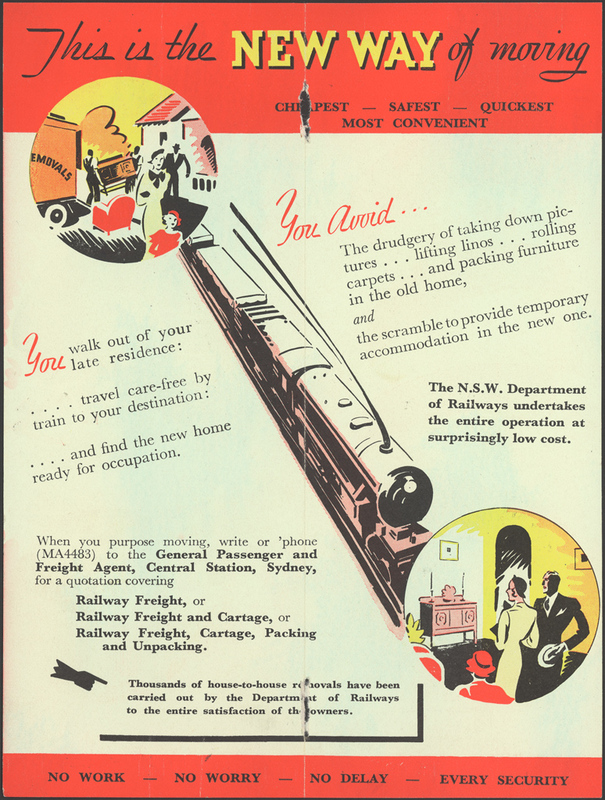 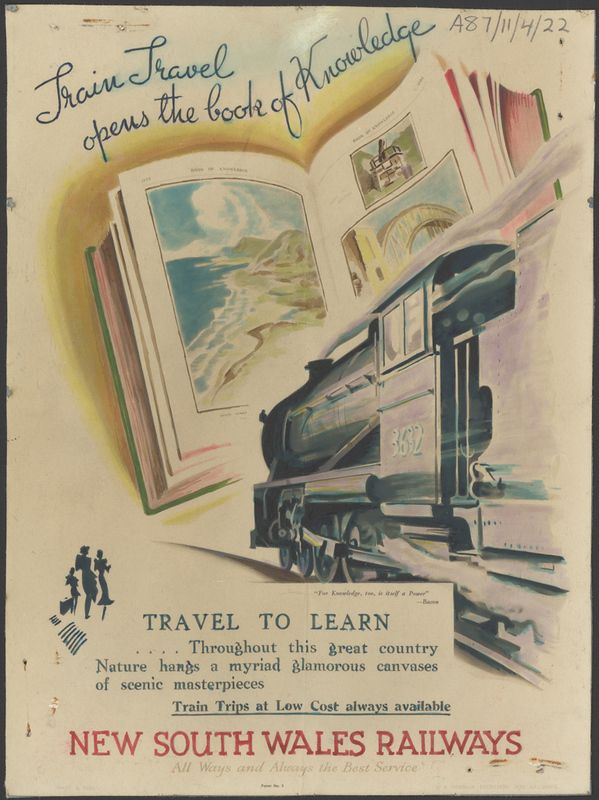 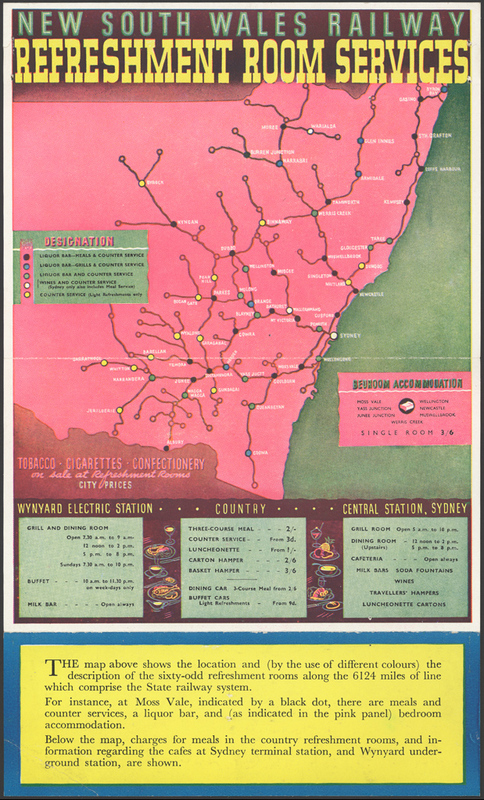 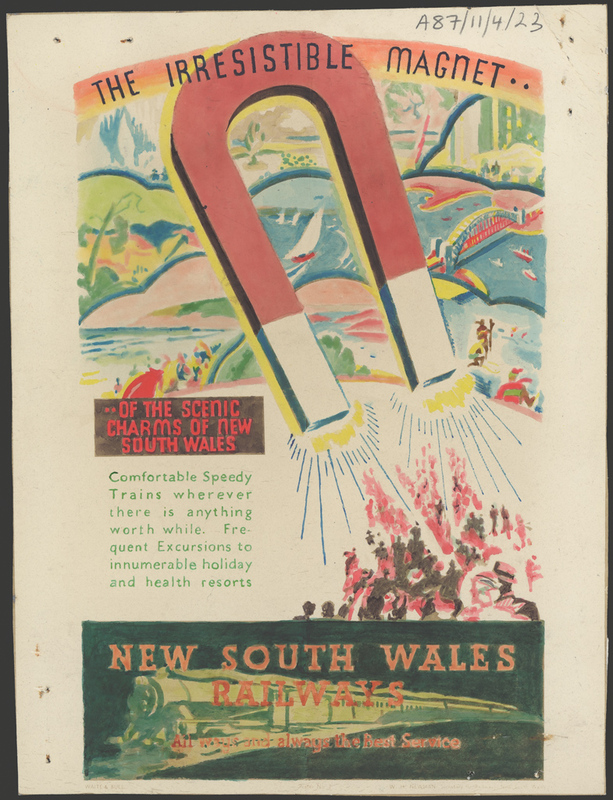 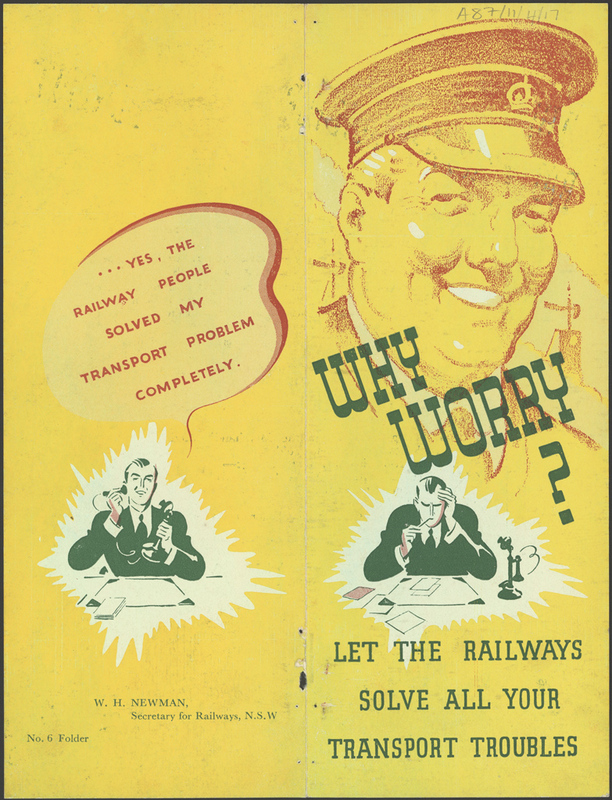 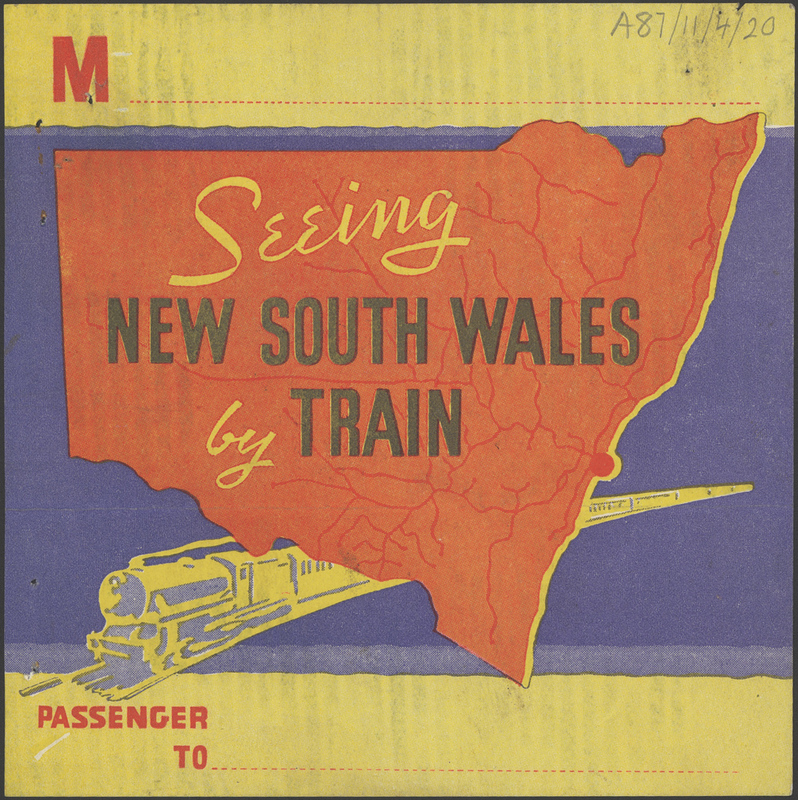 ...series of albums containing brochures and advertising pamphlets issued and/or distributed by the NSW Government Tourist Bureau…documents the activity of Tourism in which the railways played a major role…[there are] guides to locations in New South Wales, information on rail tours, samples of invitations and Christmas cards issued by the Railway Commissioner, menus, commemorative programmes and miniature versions of advertising posters relating to the railways, tour schedules, brochures, maps, tickets, timetables, day trips, and school cruises for boys and girls. 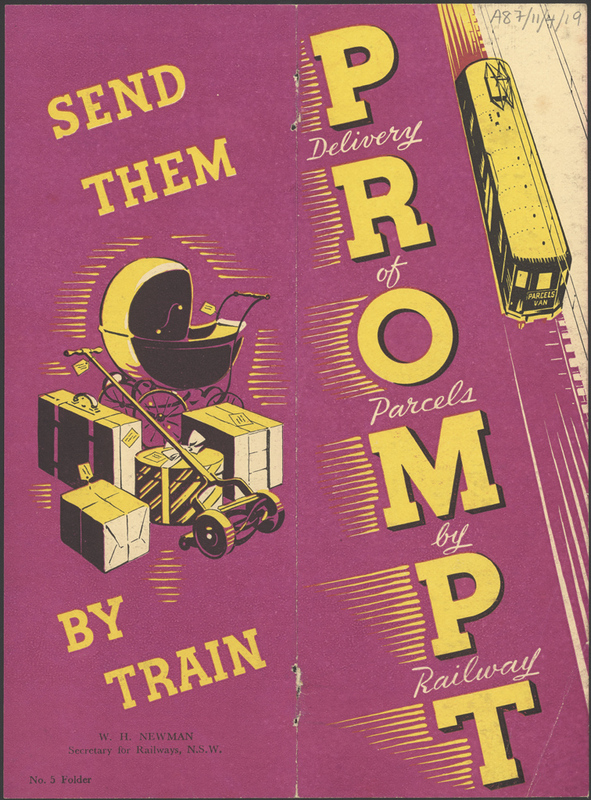 Most of the items included are the front covers only. 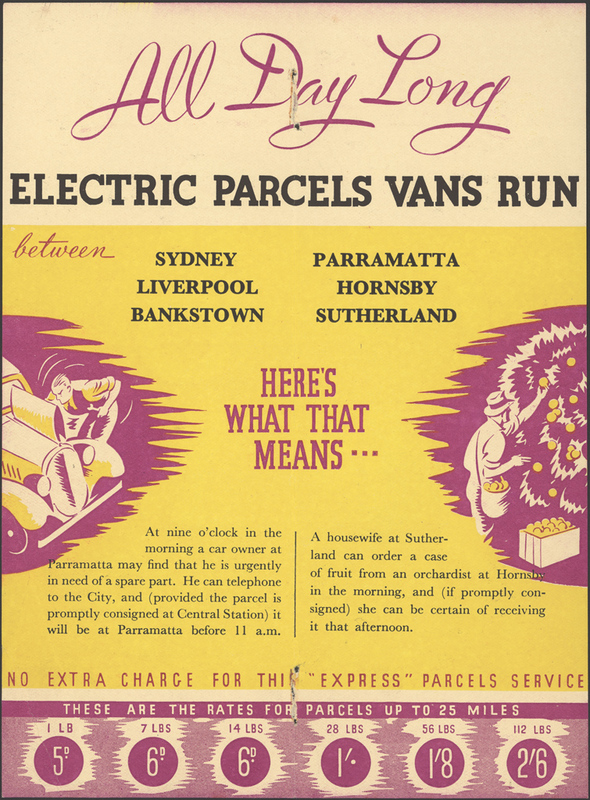 Join John Cann at West Ryde Library as he examines marriage and related records in the NSW State Archives collection. 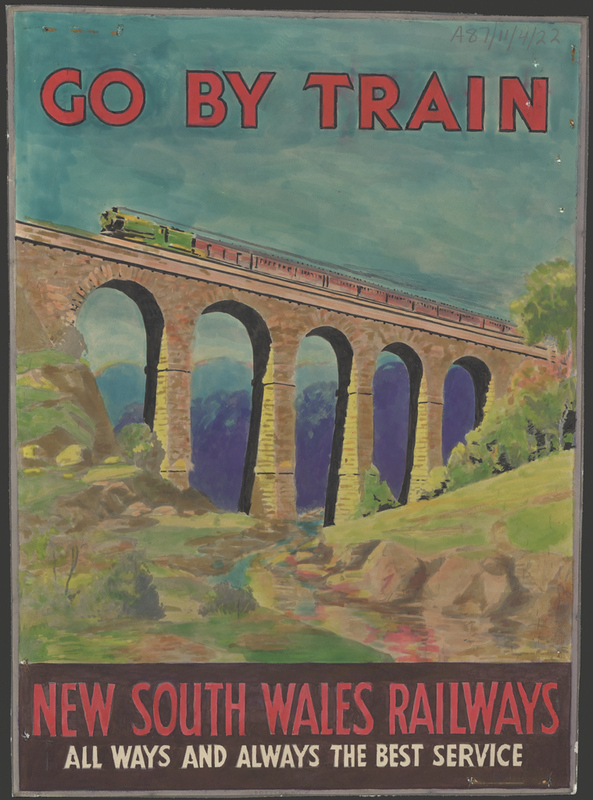 Gail Davis will be speaking to the Parramatta and District Family History Society.